China is leading the CAR-T cell therapy field in terms of total number of active trials and supporting hospitals. This is primarily due to the reasons that, in China, the proportion of patients with advanced stage cancers is much higher than some developed countries. Secondly, clinical trials are free for patients in China and many Chinese people can avail the free treatment. Cancer is known to be one of the leading causes of death worldwide, accounting for 0.6 million deaths in 2017 in the US alone. The World Health Organization states that the number of new cancer cases globally is expected to rise by 70% in the coming 20 years. Although cancer therapeutics continue to be one of the most active areas in terms of drug development, there is still a significant unmet need in this domain. Conventional cancer treatments, such as chemotherapy, surgery and radiation therapy, have demonstrated very limited efficacy in late-stage cancers. Specifically, chemotherapy and radiation therapy are also associated with several side effects. Their non-specific nature has severe detrimental effects on the patients’ quality of life. Amidst the current initiatives to develop more targeted anti-cancer therapies, immunotherapy has emerged as a highly potent option to eradicate tumor cells with minimal side effects. It is based on the principle of harnessing the innate potential of the immune system to target and destroy diseased cells. It encompasses several treatment approaches, such as monoclonal antibodies, immune checkpoint inhibitors, therapeutic vaccines, cytokine therapies and cell-based therapies. In recent years, adoptive T-cell therapy (ACT) has emerged as a potent and viable therapeutic intervention. There are certain key characteristics that render T-cells suitable for use as effective therapeutic tools; these include target specificity, adaptability and the capability to retain immunologic memory. Close to 120 academic and research institutes across the globe have made significant contributions to this field, mostly by convening the initial research on potential product candidates. These efforts have built the intellectual framework for the establishment of several start-ups; in fact, during the last five years, over USD 8 billion has been invested by VC firms / other strategic investors. It is also worth highlighting that there have been more than 200 instances of collaborations between industry / academic stakeholders. The ongoing innovation has also led to the discovery of several novel molecular targets, strengthening the research pipelines of various companies engaged in this domain. Encouraged by the recent approval of two CAR-T therapies, namely Kymriah® (Novartis) and Yescarta® (Gilead Sciences), and a robust development pipeline, the T-cell immunotherapy market offers considerable promise to a number of industry stakeholders. An analysis depicting prevalent and emerging trends related to T-cell immunotherapies as observed on the social media platform, Twitter. In addition to the yearly chatter trends, the analysis highlights the most frequently talked about product candidates. A detailed assessment of the current market landscape of T-cell immunotherapies with respect to type of therapies, type of developer (industry / non-industry), phase of development, target therapeutic indications, key target antigens, source of T-cells (autologous and allogenic), and route of administration. In addition, we have provided an overview of the competitive landscape, key challenges and anticipated future trends associated with T-cell based therapies. Comprehensive profiles of marketed and mid to late stage clinical products (phase I/II or above); each profile features an overview of the therapy, its mechanism of action, dosage information, details on the cost and sales information (wherever available), clinical development plan, and key clinical trial results. An analysis of the CAR constructs of clinical CAR-T therapies based on generation of CAR-T therapy (first generation, second generation, third generation and fourth generation), type of binding domain (murine, humanized, fully human and rabbit derived), type of vector and type of co-stimulatory domain used. An analysis of the global CAR-T clinical trials registered between 2009 and 2018, highlighting the year wise trend and the distribution across different geographies. An overview of the various focus therapeutic areas of therapy developers, including an assessment of the opportunity offered by oncological and non-oncological disease indications. A detailed discussion on innovative technology platforms that are being used for the development of T-cell therapies, along with profiles of key technology providers. An analysis of the partnerships that have been established in the recent past, covering R&D collaborations, license agreements (specific to technology platforms and product candidates), product development and commercialization agreements, manufacturing agreements, clinical trial collaborations, product supply management agreements and others. An analysis of the investments that have been made into companies that have proprietary products / technologies, including seed financing, venture capital financing, capital raised from IPOs and subsequent offerings, grants and debt financing. A case study on other T-cell based therapies, apart from CAR-Ts, TCRs and TILs. It presents a detailed analysis of the approved / pipeline products in this domain, including information on the current phase of development, target therapeutic areas, type of T-cells used, and source of T-cells. A case study on manufacturing cell therapy products, highlighting the key challenges, and a list of contract service providers and in-house manufacturers that are involved in this space. An elaborate discussion on various factors that form the basis for the pricing of cell-based therapies. It features different models / approaches that a pharmaceutical company may choose to adopt to decide the price of a T-cell based immunotherapy that is likely to be marketed in the coming years. A review of the key promotional strategies that have been adopted by the developers of the marketed T-cell therapies, namely Kymriah and Yescarta. One of the key objectives of the report was to understand the primary growth drivers and estimate the future size of the market. Based on parameters, such as target consumer segments, likely adoption rates and expected pricing, we have provided an informed estimate on the likely evolution of the market in the short to mid-term and long term, for the period 2018-2030. The report includes potential sales of T-cell immunotherapies that are currently marketed or are in late stages of development. Additionally, the chapter presents a detailed market segmentation on the basis of type of therapy (CAR-T, TCR and TIL), geography (North America, Europe and Asia Pacific) and target indications (acute lymphoblastic leukemia, acute myeloid leukemia, bladder cancer, cervical carcinoma, chronic lymphocytic leukemia, esophageal cancer, head and neck cancer, multiple myeloma, hepatocellular carcinoma, melanoma, non-Hodgkin’s lymphoma, non-small cell lung cancer, ovarian cancer and synovial sarcoma). To account for the uncertainties associated with the development of these novel therapies and to add robustness to our model, we have provided three forecast scenarios, portraying the conservative, base and optimistic tracks of the market’s evolution. Xian-Bao Zhan (Professor of Medicine and Director, Department of Oncology, Changhai Hospital). Over 480 T-cell therapies are being developed across various preclinical / clinical stages. Amongst these, CAR-T cell products are the most common (75%), followed by TCR (18%) and TIL (7%) based therapies. Two CAR-T products, namely Kymriah® (Novartis) and YESCARTA® (Gilead Sciences), were approved in 2017 for the treatment of acute lymphoblastic leukemia and large B-cell lymphoma, respectively. Around 63% of the pipeline therapies are undergoing clinical evaluation. Of the total clinical candidates, close to 40 therapies are in the late-stages of development (phase II and above) and are likely to enter the market in the next 5-10 years. Examples of late-stage therapies include bb2121 (bluebird bio / Celgene), IMCgp100 (Immunocore), MAGE A3 TCR (Kite Pharma), MB-CART19 (Miltenyi Biotec / Shanghai Children's Medical Center), NY-ESO-1 TCR (Adaptimmune Therapeutics / GSK), and LN-144 and LN-145 (Iovance Biotherapeutics). More than 80% of the products in the development pipeline are presently being developed to treat various hematological cancers and solid tumors, including (in decreasing order of number of pipeline products) acute lymphoblastic leukemia (58), non-Hodgkin's lymphoma (51), multiple myeloma (38), melanoma (37), chronic lymphocytic leukemia (31), lung cancer (29), pancreatic cancer (25), acute myeloid leukemia (24), hepatocellular carcinoma (24), glioblastoma (21), breast cancer (20) and ovarian cancer (20). Several therapy candidates are being developed for other therapeutic areas, such as autoimmune disorders and infectious diseases, as well. Amongst the various CAR-T therapies, 36% are designed to target the CD19 receptor. Other molecular targets that are being investigated include CD22, BCMA, Meso, CD20, GD2, CD30, HER1, HER2, EGFRvIII, MUC1, CD33, CD123, PSMA, GPC3, PD-L1, CEA, CD38, EPCAM and PSCA. Similarly, within the TCR segment, NY-ESO-1 is currently the most popular target antigen, followed by HBV, MART-1, p53, WT-1, MAGE A4, gp100, MAGE A3, HA-1 and MAGE A3/A6. The market is highly fragmented and characterized by the presence of over 115 start-ups, small pharma and big pharma firms. The key players involved in development of T-cell therapies (based on the number of candidate therapies in their respective pipelines) include Shanghai GeneChem, Juno Therapeutics, Kite Pharma, Marino Biotechnology, Cellular Biomedicine Group, Iovance Biotherapeutics, Adaptimmune Therapeutics, CARsgen Therapeutics, The Beijing Pregene Science and Technology Company, Merck, Intrexon, Shanghai Unicar-Therapy Bio-medicine Technology, Takara Bio and ZIOPHARM Oncology. Academic institutions are leading the innovation in this domain; many universities and research institutes have played a critical role in the discovery, design and development of novel CAR-T, TCR and TIL based therapies. Currently, around 55% of the pipeline therapies are being developed by academic players, either alone or in collaboration with industry players. The most active non-industry players (based upon the number of therapies under development) include the National Cancer Institute, Baylor College of Medicine, Shenzhen Geno-immune Medical Institute, University of Pennsylvania, Southwest Hospital, Chinese PLA General Hospital, Sun Yat-sen University, Fuda Cancer Hospital, Memorial Sloan Kettering Cancer Center, Peking University, Fred Hutchinson Cancer Research Center, Xinqiao Hospital of Chongqing, MD Anderson Cancer Center, and City of Hope Medical Center. In order to exploit the commercial potential of their respective assets, stakeholders in the industry have forged several synergistic partnerships. Overall, we identified 200 partnerships between various players (industry and academia) in the period January 2005-January 2018. Approximately 23% of the deals were R&D agreements. Other popular types of collaborations that were established in this domain include technology licensing agreements (18%), product development and commercialization agreements (16%), manufacturing agreements (9%), acquisitions (7%), clinical trial agreements (7%) and product licensing agreements (6%). Numerous contract manufacturing organizations (CMOs) with advanced capabilities have also emerged, offering services for manufacturing personalized T-cell based therapies. Examples of such CMOs include (in alphabetical order) Amsterdam Biotherapeutics Unit (AmBTU), apceth Biopharma, Atlantic Bio GMP, Brammer Bio, Cell and Gene Therapy Catapult, Cell Therapies, Cellular Therapeutics, EUFETS, MEDINET, MolMed, PCT, KBI Biopharma and WuXi AppTec. More than 150 funding instances, amounting to more than USD 8 billion worth of capital investment, have taken place in this field over the past few years. Venture capital investments contribute to over 29% of the total funding received by companies that are focused in this field. This is followed by other types of equity investments (24%), IPOs and post-IPO equity (16%), and grants (13%). Several big-ticket investments have recently taken place. For instance, Gilead Sciences announced acquisition of Kite Pharma for about USD 11.9 billion in August 2017 and Celgene acquired Juno Therapeutics in a deal valued at about USD 9 billion in March 2018. A variety of other types of T-cell immunotherapies, other than CAR-T, TCR and TIL, are also expected to emerge in the mid-long term. These include T-regulatory cell-based therapies, T-cell based vaccines, virus-driven T-cell therapies and next generation γδ immunotherapies. 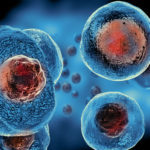 Companies such as TxCell, Caladrius Biosciences, Casebia Therapeutics, Cellenkos, Miltenyi Biotec, TRACT Therapeutics and Tmunity Therapeutics, are developing T-regulatory cell based therapies. Other players, namely Acer Therapeutics, Immunovative Therapies and TVAX Biomedical, are developing T-cell based vaccines for treating autoimmune disorders and various forms of cancer. Further, Atara Biotherapeutics, bluebird bio, Cell Medica, Shanghai iCELL Biotechnology and Tessa Therapeutics are working on the development of virus-driven T-cell therapies. Additionally, GammaCell Bio-Technologies is developing next generation γδ immunotherapies against various oncological indications, infectious diseases and autoimmune disorders. The T-cell immunotherapy market is projected to grow at an annualized rate of over 80% during the time period 2018-2030. Specifically, by 2030, close to 61% of the market is likely to be driven by CAR-T therapies. The market, in the long term, is likely to be driven by five indications, namely non-Hodgkin’s lymphoma (45%), bladder cancer (13%), melanoma (11%), acute lymphoblastic leukemia (7%) and multiple myeloma (7%). Product candidates, such as Kymriah®, Yescarta®, JCAR017, ALT 801, NY-ESO-1 TCR and IMCgp100 are expected to achieve blockbuster status. In terms of geographical distribution, North America is the current hub and is likely to continue to dominate the market in the next decade. However, there is a general perception that, owing to the fact that more than 60% of the CAR-T trials are currently being conducted in China, the country is likely to grow at a relatively faster rate as compared to the developed regions. Chapter 2 provides an executive summary of the insights captured during our research. It offers a high-level view on the likely evolution of the T-cell immunotherapy market in the short to mid-term and long term. Chapter 3 provides a general overview of T-cell immunotherapies. In this section, we have briefly discussed the conventional forms of therapy that are being used for the treatment of various oncological indications. Further, it includes a discussion on the advent and historical evolution of cancer immunotherapy, general manufacturing procedure of T-cell immunotherapies, factors supporting the growing popularity of T-cell based therapies and the challenges associated with such therapies. Chapter 4 provides insights on the popularity of T-cell immunotherapies on the social media platform, Twitter. The section highlights the yearly distribution of tweets posted on the platform in the time period 2012-2017, and the most significant events responsible for increase in the volume of tweets each year. Additionally, the chapter showcases the most frequently mentioned keywords and drug candidates, as observed on social media. Chapter 5 provides information on around 500 T-cell immunotherapies that are currently in different stages of development (clinical and preclinical / discovery). It features a comprehensive analysis of pipeline molecules with respect to the type of therapy (CAR-T, TCR and TIL), type of developer(s), phase of development, target therapeutic areas and indications, key target antigens, source of T-cells (autologous and allogenic) and route of administration. Further, the chapter identifies the most active players (in terms of number of pipeline candidates) and features a logo landscape representation, highlighting product developers in North America, Europe and the Asia Pacific region. Chapter 6 presents a collection of key insights derived from the study. It includes a bubble analysis, highlighting the most popular targets of CAR-T and TCR therapies in hematological cancer and solid tumor space. Further, the chapter includes an analysis on global CAR-T trials registered between 2009 to 2018, featuring the year wise trend and distribution of CAR-T trials across different geographies. In addition, it includes comprehensive analysis of more than 400 clinical trials that have been completed or are currently being conducted to evaluate T-cell immunotherapies with respect to the type of T-cell immunotherapy (CAR-T, TCR and TIL), phase of development, patient segment, and type of therapy (monotherapy and combination therapy). Chapter 7 focuses on CAR-T cell based therapies and highlights the prevailing trends pertaining to ongoing research in this field. It features a discussion on the molecular targets that are currently under investigation and the current challenges (such as toxicity issues) that are associated with this segment. To offer due credit to the work of eminent researchers in this domain, we have mapped the presence of key opinion leaders (who are involved in this field of research) across the globe. In addition, we have presented an analysis of the CAR constructs being used in the clinical CAR-T therapies on the basis of generation of CAR-T therapy, type of binding domain, type of vector and type of co-stimulatory domain. This section also includes detailed profiles of the approved / late stage CAR-T cell therapies. Each profile features a general overview of the therapy and provides information on its history of development, clinical trial timeline, clinical trial results, information on manufacturing, estimated cost of treatment and treatment regimen details. Chapter 8 focuses on TCR cell based therapies and highlights the prevailing trends pertaining to the ongoing research in this field. It features a discussion on the molecular targets that are currently under investigation and the current challenges (such as toxicity issues) that are associated with this segment. To offer due credit to the work of eminent researchers in this domain, we have mapped the presence of key opinion leaders (who are involved in this field of research) across the globe. This section also includes detailed profiles of the late stage TCR therapies. Each profile features a general overview of the therapy and provides information on its history of development, clinical trial timeline, clinical trial results, information on manufacturing, estimated cost of treatment and treatment regimen details. Chapter 9 elaborates on the TIL based therapies and highlights the prevailing trends pertaining to the ongoing research in this field. To offer due credit to the work of eminent researchers in this domain, we have mapped the presence of key opinion leaders (who are involved in this field of research) across the globe. This section also includes detailed profiles of the late stage TIL therapies. Each profile features a general overview of the therapy and provides information on its history of development, clinical trial timeline, clinical trial results, information on manufacturing, estimated cost of treatment and treatment regimen details. Chapter 10 identifies the most commonly targeted therapeutic indications, including hematological cancers and solid tumors and features brief discussions on the T-cell therapies being developed against them. The section also highlights key epidemiological facts and the currently available treatment options for each indication. Chapter 11 provides a list of technology platforms that are either available in the market or under designed for the development of T-cell immunotherapies. It features brief profiles of some of the key technologies as well. Each profile contains details on the various pipeline molecules that have been / are being developed using the technology, its advantages and the associated partnerships. Chapter 12 features an elaborate discussion and analysis of the various collaborations and partnerships that have been inked amongst players in this market in the past few years. Further, the partnership activity in this domain has been analyzed on the basis of the type of partnership model (R&D collaborations, license agreements (specific to technology platforms and product candidates), product development and commercialization agreements, manufacturing agreements, clinical trial collaborations, product supply management agreements and others, the companies involved, the type of therapy and prominent product candidates involved. Chapter 13 provides details on the various investments and grants that have been awarded to players focused on the development of T-cell immunotherapies. It includes a detailed analysis of the funding instances that have taken place in the period between 2000 to 2017, highlighting the growing interest of venture capital (VC) community and other strategic investors in this domain. Chapter 14 features details of other T-cell based therapies, apart from CAR-Ts, TCRs and TILs, which are currently being investigated. It presents a detailed analysis of the approved / clinical products in this domain, including information on the current phase of development, target therapeutic areas, type of cells, and source of T-cells. Additionally, we have provided a brief overview of the upcoming therapies, along with details on their mechanisms of action. Chapter 15 provides insights on cell therapy manufacturing, highlighting the current challenges that exist in this domain, and the pre-requisites for owning and maintaining cell therapy manufacturing sites. It includes a list of various cell therapy manufacturers, covering both contract manufacturing organizations and companies with in-house manufacturing capabilities. For the players mentioned in the chapter, we have included details on location of various manufacturing facilities, the products being manufactured, scale of operation and compliance to cGMP standards. Chapter 16 highlights our views on the various factors that must be taken into consideration while deciding the prices of cell-based therapies. It features discussions on different models / approaches that a pharmaceutical company may choose to follow to decide the price at which their T-cell based immunotherapy product can be marketed. Additionally, we have provided a brief overview of the reimbursement consideration for T-cell immunotherapies and a case study on the National Institute for Health and Care Excellence (NICE) appraisal of CAR-T therapy. Chapter 17 features an elaborate discussion on the future commercial opportunity offered by T-cell therapies. It provides a comprehensive market forecast analysis for molecules that are approved or are in phase I/II, phase II and phase III of development, taking into consideration the target patient population, existing / future competition, likely adoption rates and the likely price of different therapies. The chapter also presents a detailed market segmentation on the basis of type of therapy (CAR-T, TCR and TIL), geography (North America, Europe and Asia Pacific) and target indications (acute lymphoblastic leukemia, acute myeloid leukemia, bladder cancer, cervical carcinoma, chronic lymphocytic leukemia, esophageal cancer, head and neck cancer, multiple myeloma, hepatocellular carcinoma, melanoma, non-Hodgkin’s lymphoma, non-small cell lung cancer, ovarian cancer and synovial sarcoma). Chapter 18 highlights the key promotional strategies that are being implemented by the developers of the marketed products, Kymriah and Yescarta. The promotional aspects covered in the chapter include details that are provided on the product website (covering key messages for patients and healthcare professionals), patient support offerings and informative downloadable content. Chapter 19 includes brief company profiles of the leading players in the T-cell immunotherapy market. Each company profile includes an overview of the developer and brief description of the product portfolio specific to CAR-T, TCR and TIL therapies, technology portfolio (if available), recent developments related to T-cell immunotherapies and manufacturing capabilities of the companies. Additionally, we have provided details of the strategic / venture capital investments made in these companies. Chapter 20 is a summary of the overall report. In this chapter, we have provided a list of key takeaways from the report, and expressed our independent opinion related to the research and analysis described in the previous chapters. Chapter 21 is a collection of transcripts of interviews conducted with key stakeholders in the market. In this chapter, we have presented the details of our conversations with Adrian Bot (Vice President, Scientific Affairs, Kite Pharma), Aino Kalervo (Competitive Intelligence Manager, Strategy & Business Development, Theravectys), Brian Dattilo (Manager of Business Development, Waisman Biomanufacturing), Enkhtsetseg Purev (Assistant Professor Of Medicine, University Of Colorado), Miguel Forte (Chief Operating Officer, TxCell), Peter Ho (Director, Process Development, Iovance Biotherapeutics), Tim Oldham (Chief Executive Officer, Cell Therapies), Victor Lietao Li (Co-Founder & Chief Executive Officer, Lion TCR), Vincent Brichard (Vice President, Immuno-Oncology, Celyad) and Xian-Bao Zhan (Professor Of Medicine and Director, Department Of Oncology, Changhai Hospital). Chapter 22 is an appendix, which provides tabulated data and numbers for all the figures included in the report. Chapter 23 is an appendix, which contains the list of companies and organizations mentioned in the report.